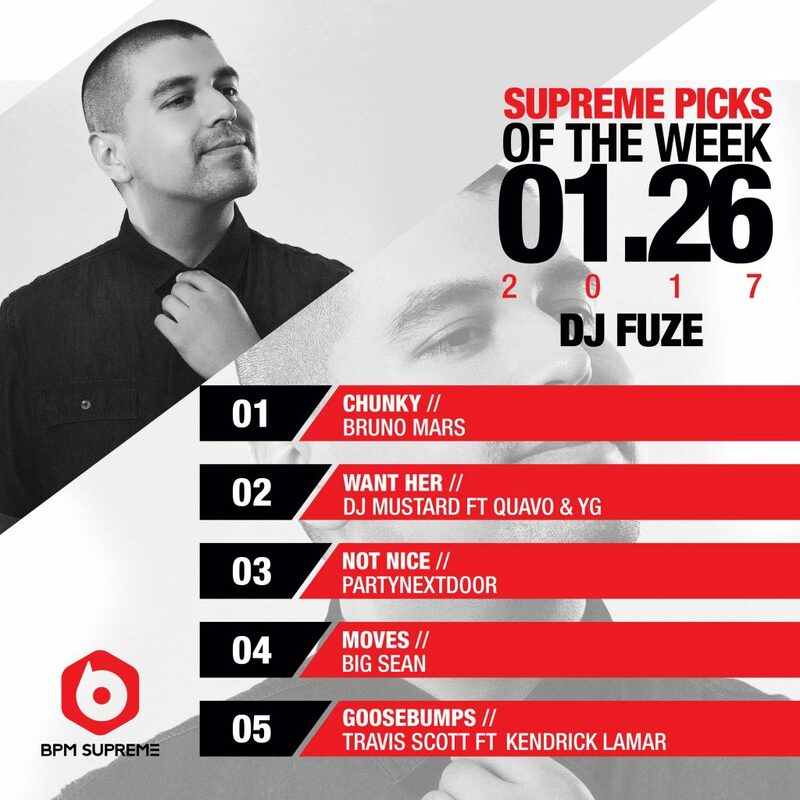 Official Power 106 on-air mixer, DJ Fuze is bringing the fire for this week’s Supreme Picks. Download them all right now on BPM Supreme! DJ Fuze got his start DJing at a very early age. His first set of turntables were given to him at 15. He began practicing day and night, as well as working hard on mix tapes. When DJ Fuze found out about the opportunity to participate in ‘Power 106 Mixer Idol’ (mix-tape contest), he immediately jumped on it. With perseverance and hard work, DJ Fuze ended up winning the contest. He eventually became the official Power 106 on-air mixer. Presently, DJ Fuze tours around the west coast and plays private events for A-list celebrities like Rihanna LA Laker’s Derick Fisher. Start following DJ Fuze’s journey to the top on Instagram!